¨Kalekye Mumo Live & Uncut¨ is the bubbly radio queen´s new show and she gives us a snippet of events on the same. Streaming Love on her Facebook page as of Yesterday @ 3pm, the show will be nothing short of an interactive session with her. 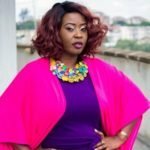 She called it quits at K24 as the ´Talk Central´ show host just last week and hinted that she will now be focusing on building her own brand. According to the former KISS 100 presenter, she feels there is need for Kenyans to connect at a much more intimate level. The content will solely be produced based on her own terms, talking of trends and present events, all aired on social media. Kalekye counts 13 years now, having worked in the lucrative industry and feels it is now time to take risks. Today marks her first, already 1-day aired live episode and she shares snaps of what went down: Her 1st episode saw her host Sauti Sol´s; Bien Aime and Savara Africa alongside their producer, Ben Soul. She however express much gratitude from fans and followers for the unending support: It is all ¨Congrats!¨ for the bubbly media personality from fans, followers and Kenya at large. The post Kalekye Mumo shares snippets of her network´s first episode and Sauti Sol is on set appeared first on Ghafla! Kenya.